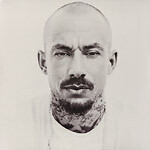 Eligh's brand new album for 2015 is ''80 HRTZ,'' named after the frequency of low bass, the frequency that the 808 drum resonates best. This album tells the story of Eligh's unique take on the importance of bass with the assistance of Bay Area Producer, DNAE Beats. The album receives an extra push with guest features from Andre Nickatina, Locksmith, Abstract Rude, Busdriver, Open Mike Eagle, and more.